One of the weird takeaways from the Democratic freak-out following Jon Ossoff’s loss in Tuesday’s Georgia special congressional election was that House Minority Leader Nancy Pelosi must go. The reasoning was that even if Pelosi is good at the legislative and fundraising aspects of her job, Democrats can’t afford to have a liberal woman from San Francisco popping up in Republican campaign ads if they want to retake the House. It's just extremely difficult for Ds to argue benefits of Nancy Pelosi's fundraising skills still outweigh cost of her presence in GOP ads. Representative Kathleen Rice, one of a handful of Democratic representatives publicly calling for new leadership, told the New York Times that Democrats should drop Pelosi because the right has vilified her —- though their depiction is unjust. During her weekly news conference around the same time, a defiant Pelosi challenged the idea that she should go simply because the GOP base doesn’t like her, noting that the right tends to denigrate whatever Democrat happens to be in power. 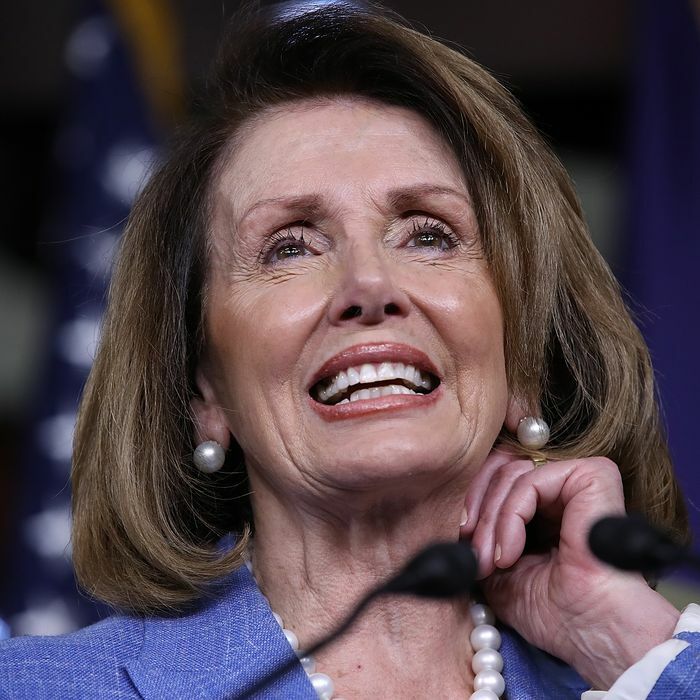 However, Pelosi said she welcomes the questioning of her leadership – while also suggesting that her critics are just seeking media attention. “When it comes to personal ambition and having fun on TV, have your fun,” she said. After attending the meeting on Pelosi’s future, Representative Richmond, the head of the Congressional Black Caucus, suggested the solution might be changing the narrative surrounding the minority leader, not ousting her. He said defending Pelosi to voters would be an expensive endeavor, but it may be worth it.